image: A night scene with a trail of lights in the background leading up to a ball of fire in the foreground. This drawing was made from descriptions given to the artist by Richard Playne Stevens, an RAF fighter pilot particularly noted for his night victories against German aircraft. The action depicted in this work is probably that of 15/16 January against a Dornier Do 17. The drawings were done in Spring 1941 and discussed as potential propaganda material by the WAAC in May 1941. 'Stevens' Rocket' is most likely an informal reference to the event rather than a technical term and is a play on 'Stephenson's Rocket'. 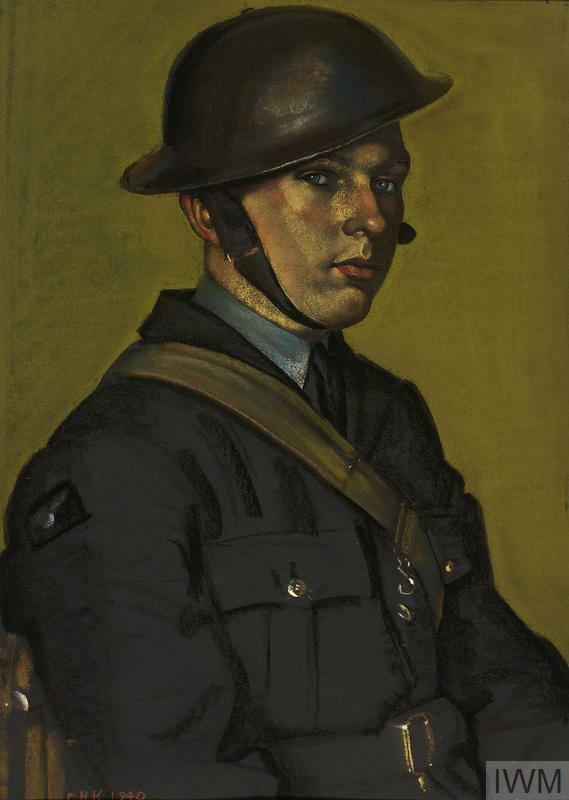 Stevens was drawn twice by Kennington at this time (LD 977, LD 978) but went missing during a flight at the end of 1941. (LD 1086 & LD 1088) Two phases in the destruction of a Nazi night bomber. The first shows a German plane's engines on fire and incendiary bombs pouring out just after the aircraft had received the coup de grace from the guns of the British night fighter. The second shows all the HE Bombs exploding as the bomber crashes to earth, leaving a trail of incendiaries to mark the direction of its crazy descent. The incident was described to the artist by Pilot Officer Stevens who has shot down many German bombers at night.